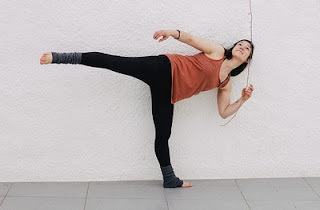 Spela Peterlin, aka Nayeli, is president and founder of MOAVE, is a psychologist, positive psychology freelanced trainer, intuitive dancer, acroyogi, writer and passionate mover. In her workshops she focuses on building solid and positive dynamics of the group and providing different strategies for exploration and personal expression. Here you can watch a sample of her work. Her presence inside the Storytellers for Peace group is the beautiful proof that we can tell stories with everything we have to share.